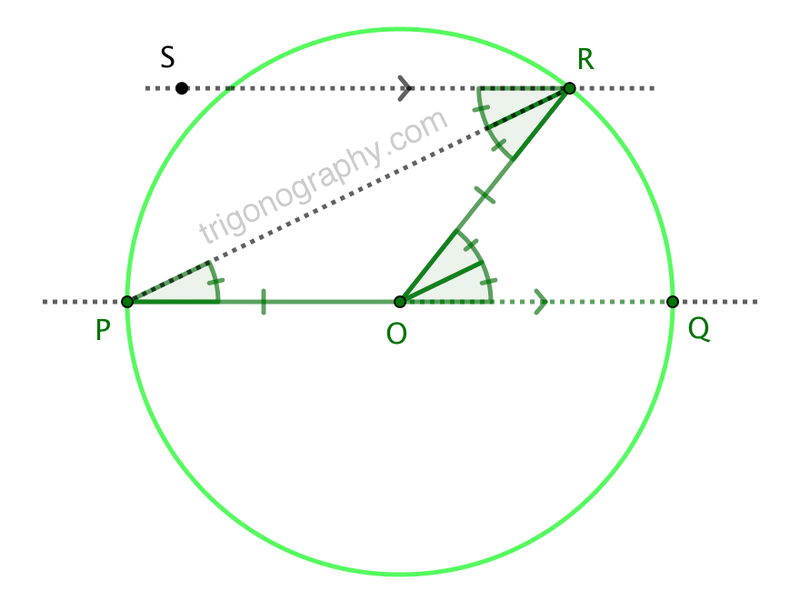 Triangle Angle Sum Theorem (perhaps in the form of the “strong” Exterior Angle Theorem). “The angles of a triangle add-up to \(180^\circ\)” (and maybe the Pythagorean Theorem)? hyperpallium has demonstrated that such a digression is actually unnecessary. The inscribed angle property follows nicely from the parallelism property. Nifty!